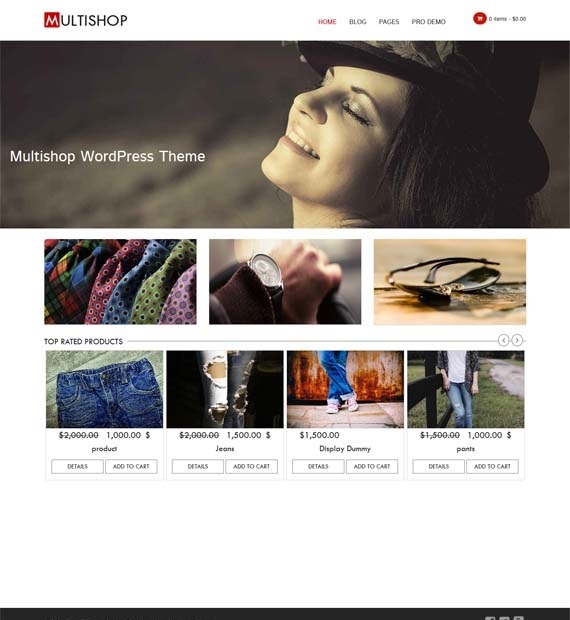 Multishop is a Twitter bootstrap-based free WordPress theme designed for eCommerce websites. Since it is fully responsive, your site will be displayed across all devices without any sort of horizontal scrolling. With its drag and drop page builder, Multishop also makes setting up your site extremely intuitive and user-friendly. This theme is also built to be SEO Optimized, ensuring that your site performs well in the Google search results. While this WooCommerce friendly theme is perfect for an online shop, it can be used for a business website or even a personal blog. Easily alter the styles, functions and overall templates of the theme using the child theme. Don’t like the changes? Go back to the parent theme within minutes.